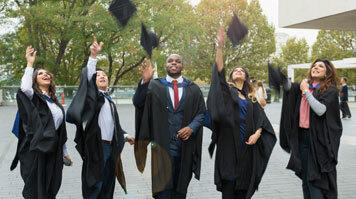 The School of The Built Environment and Architecture graduation ceremony (PDF File 72 KB) takes place at 11am. The School of Engineering graduation ceremony (PDF File 88 KB) takes place at 3pm. PLEASE NOTE: If you do not register for your graduation, you name will not appear in the graduation programme.